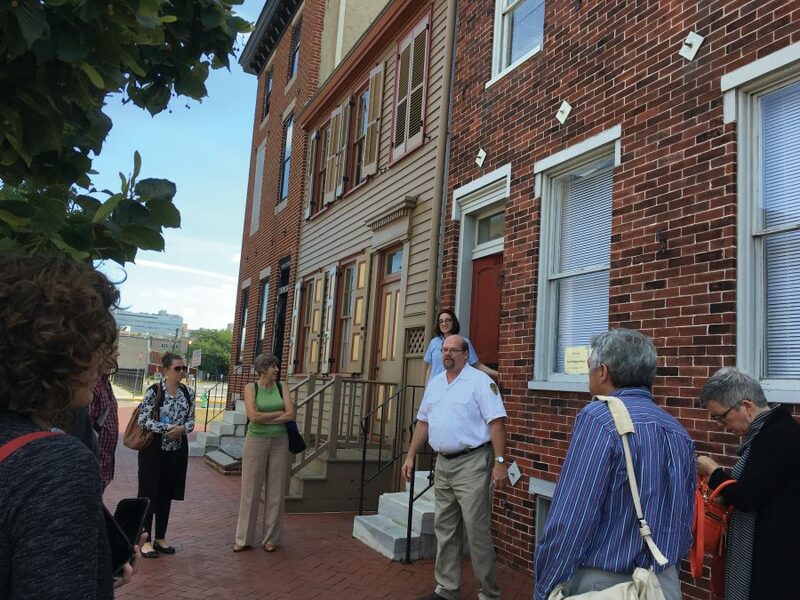 The Certificate in Historic Preservation at the Mid-Atlantic Regional Center for the Humanities (MARCH), Rutgers University-Camden, is designed for those who desire to gain a deeper understanding of the vocabulary and discipline of historic preservation. The program provides fundamentals of contemporary historic preservation practice as well as opportunities for in-depth studies. Students learn from professionals working in the field to gain a more realistic perspective on how the tangible remains of our past can be integrated within current environments. The program is open to anyone interested in historic preservation: members of historic preservation commissions, town planners, historic site administrators and volunteers, owners of old or historic buildings, architects, engineers, attorneys, students, and anyone else with an interest in preserving our built environment. The certificate program is not a degree program, but can be used to supplement a student’s work in an allied field, such as history or architecture. Participation in the certificate program does not require matriculation at Rutgers. Enrollment is open, and students may begin coursework at any time. Student may take classes in any sequence and complete the program at their own pace. Classes are taught on a pass/fail basis. One CEU is defined as 10 contact hours of participation. MARCH calculates CEUs for its program and maintains records of CEUs earned by participants. Selected classes may also offer American Institute of Architects (AIA) and American Institute of Certified Planners (AICP) continuing education credit. Transfer credits from other programs may be accepted on a case-by-case basis. Contact preservation@camden.rutgers.edu for more information.